I have decided to start a new segment. After being in #SundaySupper now for quite a few weeks and getting around 50 new recipes each week. I have decided to start to make some of them, like this Harvest Rice with Apples and Pecans . They look so fantastic but there is so little time to try and do it all and if you know me I sure try. So on occasion I am going to grab a recipe that has really caught my attention for one reason or another. All of the recipes are made with great attention and time, to give you the best we all have to offer at #SundaySupper. 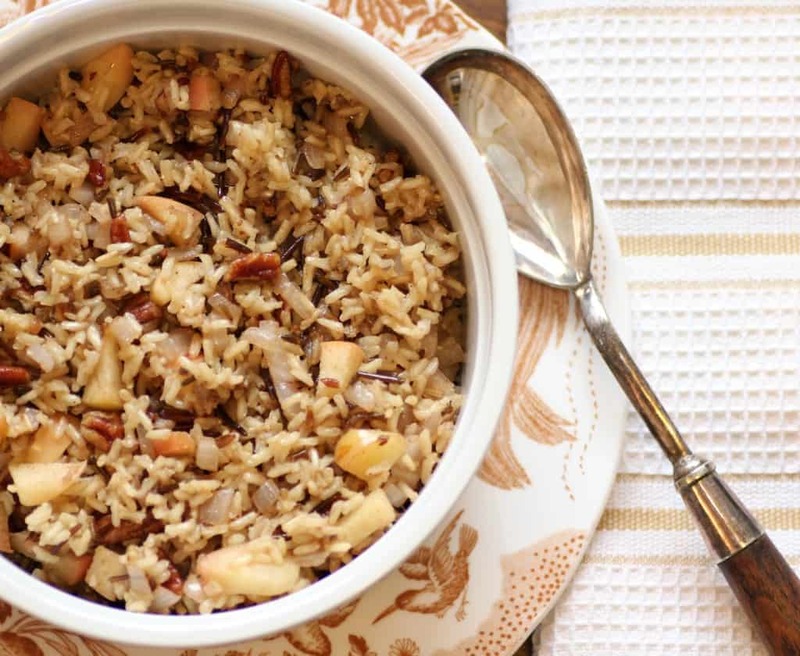 This recipe for Harvest Rice with Apples and Pecans is from Anne at Webicurean. It caught my attention for a few reasons. We eat very little rice here. This was not a conscious decision but for one reason or another we don’t use it that much and we all love rice. I also haven’t made brown or wild rice forever!!! Again not sure why it has fallen off the radar. This rice dish also has a combination that I adore and it is apples and pecans!! So off I went into the kitchen to create this very easy and absolutely delicious rice dish that my whole family adored. I accompanied it with baked sausage, yes baked. Standing at the meat counter waiting for my turn I started to talk to a lady beside me. She also was getting the chicken and apple sausage and said she bakes hers in a 325F oven for about 30-40 min. and it was so juicy and delicious with very little mess. I will so be doing that again too! 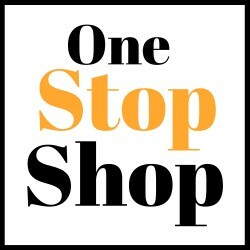 Anne has an amazing site at Webicurean and has lots of years of experience behind her with amazing photography and time tested recipes. Please go and enjoy a look around, you will love what you see. A perfect Fall side dish that is absolutely delicious! Bring the chicken broth to a boil in a large saucepan and add brown and wild rice and salt. Simmer until done about 40-45 min. Melt the butter in a large non stick pan and saute the pecans until fragrant and slightly browned. Remove from the pan and set aside. In the same pan, add the olive oil, saute the onion and apple. Sprinkle with nutmeg, salt and pepper and cook until the onions are transparent. When the rice is done stir it into the apple and onion mixture adding in also the pecans. Stir to combine and then place in a serving dish. Ya, I have never baked them before except in the Coddle dish. Always pan fried or BBQ. They are great baked and yes the rice dish is a keeper!! Thanks for the wonderful write up, and I’m glad you enjoyed the rice! I love the idea of baking the sausages–I never thought of doing it that way–usually grill or boil, but baking makes so much sense. You are so welcome Anne and thanks again for letting me share! This looks wonderful and is now on my must try list. Thanks for coming over Isabel. I will be making this again and again. Love it! !